Whether you are a patient, a caregiver, or a physician, there are a variety of ways to stay connected to UNC Lineberger. 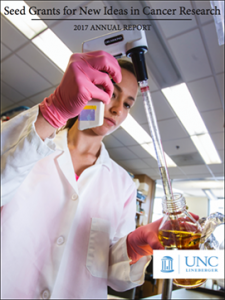 UNC Lineberger publishes Cancer Lines three times a year. 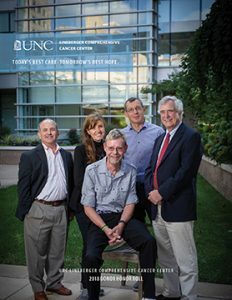 Cancer Lines includes information about breakthroughs in cancer research, treatment and prevention as well as cancer center faculty and staff updates, donor profiles and news from the UNC Lineberger Board of Visitors. UNC Lineberger publishes a Donor Honor Roll once a year to recognize individuals who have made contributions that year.